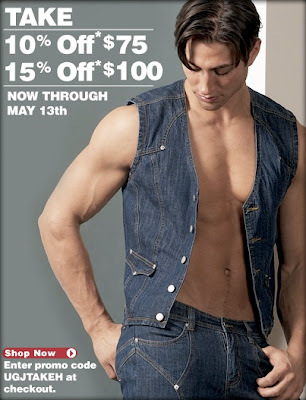 Take up to 15% off at Undergear now until May 13th. You must spend $100 or more to get the full 15% off. Be sure to enter coupon code "UGJTAKEH" at checkout.